Actress, Host, Expert Crafter, Jewelry Designer & Mixed Media artist. Valentine’s day mixed media project using recycled packaging. This is a Valentine’s day inspired mixed media project using recycled packaging. I used left over packaging, I layered them with gesso, white lace, and trim. I also used a stencil to add texture. I used the Jane Davenport mermaid markers, Tombow markers, and I layered the colors to get a vibrant effect. The colors came out much brighter than I wanted, so I was able to tone it down using some white and light pink watercolors. I also used some Lindy’s sprays to tone down the very bright pink color. The other two projects are also recycled packaging, and I used acrylic paints and I layered all three with flowers and embellishments! I finished off the last 2 with Lemon color liquid pearls in the corners to bring the piece to life. This is a fun way to use mixed media and layer different mediums to get a bright and cheery effect! 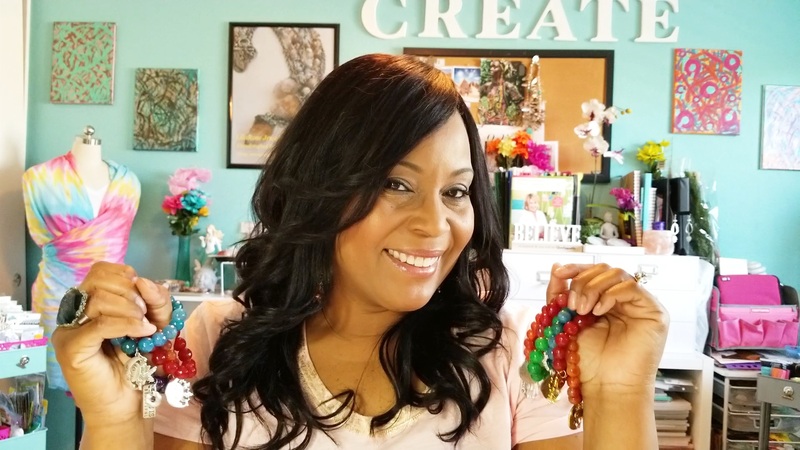 I’m the host and content creator of my Youtube show called Creative Inspiration, where I have jewelry making tutorials, mixed media art, crafty diy’s, as well as shopping hauls! 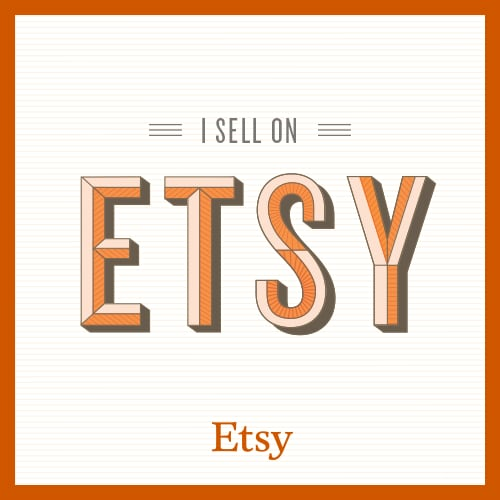 I am the Owner/Designer for Lilarosejewelry & StephanieGCreative on Etsy.com. I am also a trained actress. 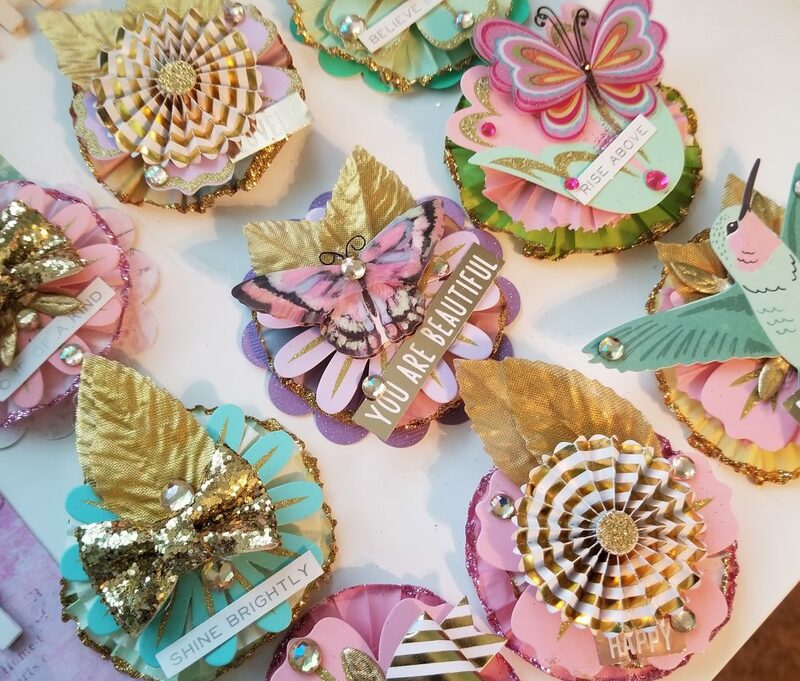 Crafty project share and DIY Inspiration! Mixed Media Jewelry making series! Covering the Aftershows for AfterbuzzTV! NBC Universal Fall Press day announcement! Check out my HandCrafted Jewelry on Etsy!